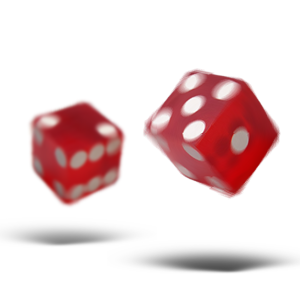 The title for this post actually came to me in a dream and I was describing to someone in a heated debate how their version of organizational effectiveness was like throwing dice in the dark: gambling and guessing about success. This post (and the dream) come in the wake of years of passionate thought around what it takes for organizations to realize their potential and prevent the loss of toes at their own hands. To me, it comes down to just one thing: metrics. Every action can be measured in some form or fashion. Consequently, that measurement can be evaluated against a standard and determined to either exceed or fall below that standard. The difference (or delta for any math majors) between the standard and the measurement will help determine next steps to either help maintain an exceptional result or correct a sub-standard one. What’s the question? Most want to ask a different question first – what to measure? But, before you determine what you are going to measure, you must first know what question you are trying to answer. Of course, there is an endless number of questions, so you have to be willing to ask the best and most important questions. How do you determine that? The mission statement of the organization should be your guide. For example: If the question is how to determine sermon effectiveness on a given Sunday, someone might suggest you measure attendance. Is the question a good one? Sure it is because spiritual growth is most likely part of any church’s mission statement. Can you measure attendance? Sure, just count the people in the seats mid-way though the service. Does that number correlate to effectiveness of a sermon? Unless you’re sole reason for preaching is to fill seats, then the answer is no. Silly example? You would be surprised how often this metric is used to answer all kinds of questions. What to measure? Now that we have our question, we can now get down to defining the measurements we need to make. Even still, a deep understanding of what success looks like must shape our thoughts in this regard. To be truly beneficial, success must be defined AND agreed upon before we can measure and draw conclusions from the data we collect. What to conclude? Ever heard of a police detective determining the suspect before any evidence has been processed? That’s called predetermination and just as in police work, making the data fit a predetermined conclusion is – simply put – wrong. Why go through the exercise of asking good questions and putting together meaningful metrics only to get the answer you wanted anyway?The truth is rarely easy to uncover and sometimes less easy to swallow. It’s our nature to want to shortcut the process and our brains automatically make connections that aren’t based totally in factual evidence. That’s why we must resist these urges and maintain the integrity of the process. The only way to move forward toward a better tomorrow is to let the unfettered truth come to light and allow it to dictate next steps. Like I said in the beginning, I believe this is the crux to discovering the potential for an organization’s effectiveness, but it is by no means the only piece of the puzzle. The process of examining decisions for success takes time, resources and energy – all of which are in short supply in America and especially in our churches. It is my assertion that until we are able to ask the BEST questions, measure the RIGHT criteria and conclude HONESTLY the truth of a situation, we won’t BE better tomorrow than we are today. Until then, we are just throwing dice in the dark.